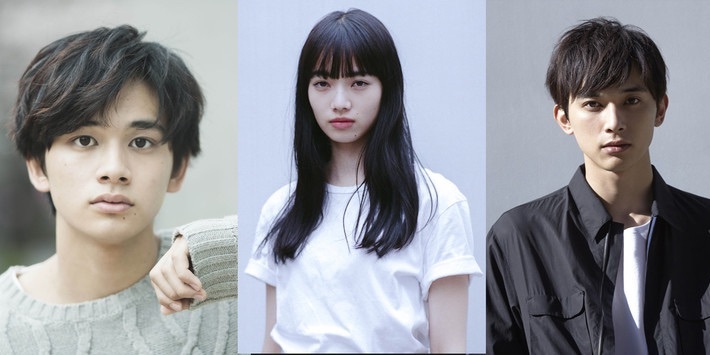 There is a happy family that consists of parents and their 3 children: Hajime (Ryo Yoshizawa), Kaoru (Takumi Kitamura) and Miki (Nana Komatsu). Hajime is the first son and he is handsome and popular. His presence in the family is large. Kaoru is the second son and he is an ordinary university student. Miki is the young child in the family. She looks up to her brother Hajime a lot. One day, Hajime has a car accident and the family falls into despair. Slowly. the family recovers. Based on novel "Sakura" by Kanako Nishi (published February 23, 2005 by Shogakukan). "Sakura" in the title of the film refers to the family's pet dog named Sakura. Mia Apr 02 2019 8:10 pm Takumi and Ryo OMG!! !